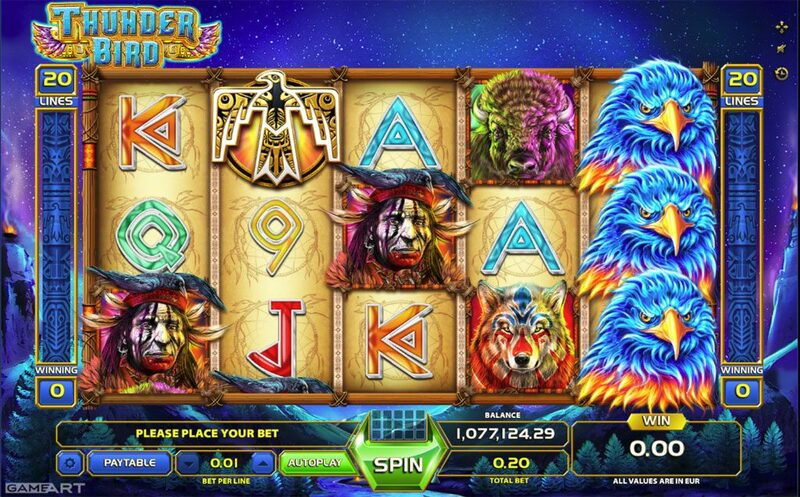 Face the mystic native American spirits with THUNDER BIRD slot game. The 5 reel – 20 pay line game will keep you on thrills with is frequent WILD Eagle stack wins. 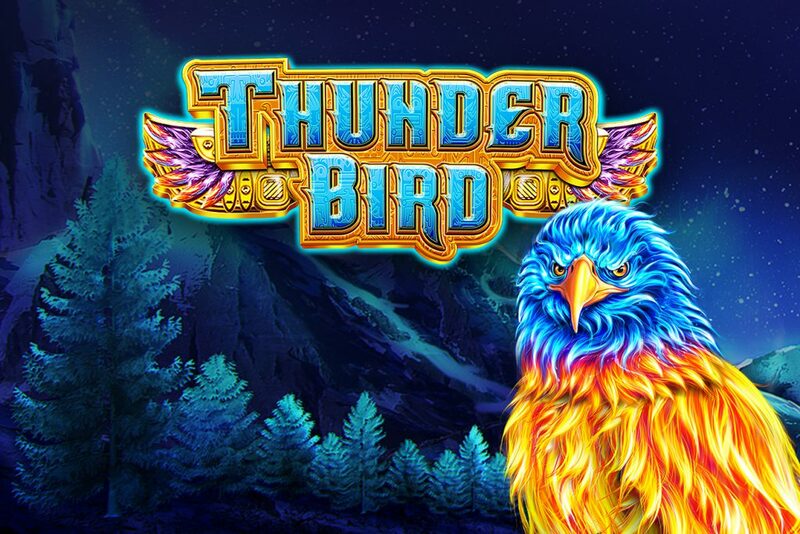 Get three or more Thunder Bird scatter symbols in any position and you will be awarded 10 free spins where all the WILD Eagle symbols on reels 3, 4 and 5 become sticky and remain like that for the whole duration of free spins. 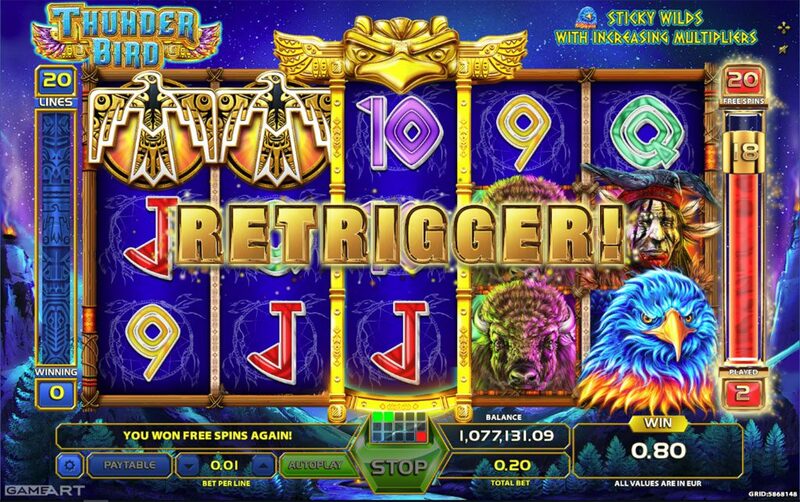 To add to the excitement every Eagle that lands on reel 3 under the golden totem, adds a multiplier for the wins starting with x1 and increasing its value after each spin until it reaches its maximum value at x5. 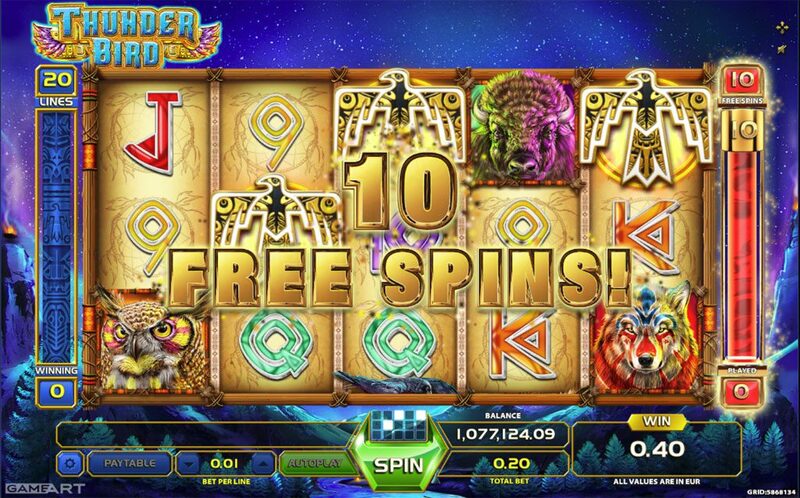 Bonus feature can be retriggered with only two scatter symbols on reels 1 and 2 awarding additional 5 free spins.